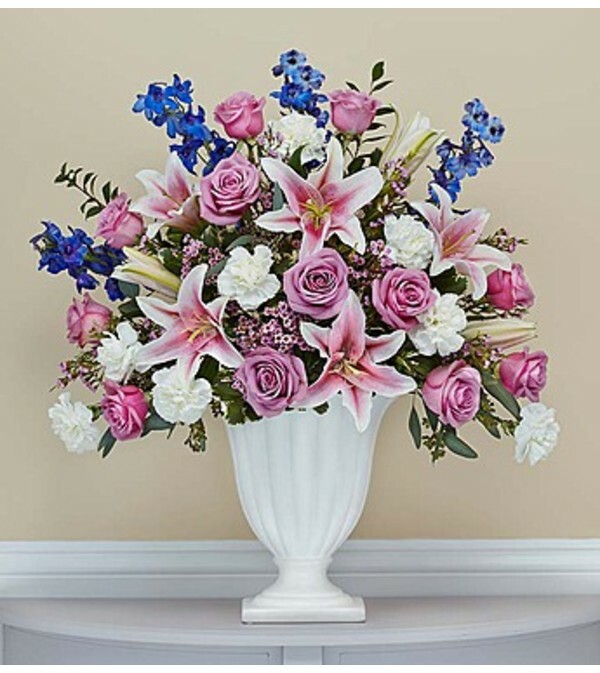 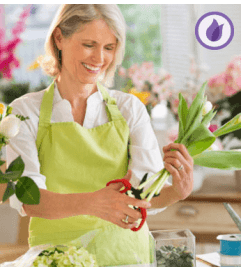 Our elegant arrangement of roses, lilies, carnations in blue, pink, lavender and white hues convey your heartfelt condolences to friends and family. 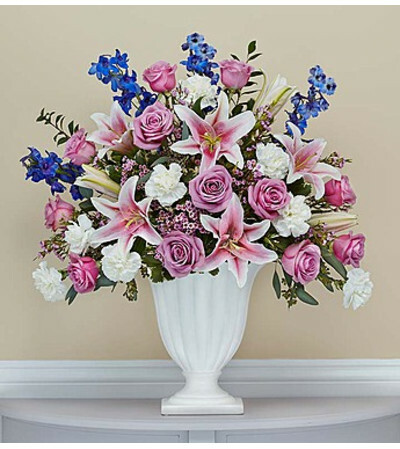 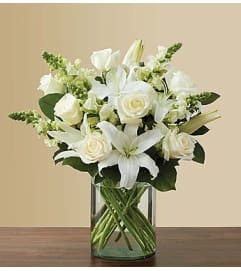 A spring mix of fresh blooms is displayed in a graceful keepsake pedestal vase. 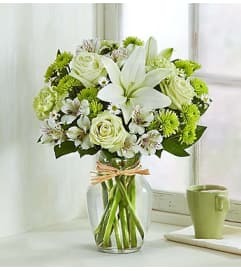 Elegantly crafted with satin finish and delicate fluting, a timeless vase that can be used to hold flowers or on its own as an objet d’art.